Dogs and puppies most prone to territorial aggression include those bred for herding and protection, such as shepherds and terriers. They protect “their” property (the house, other animals, car, yard, you) no matter who is present. For instance, Rex may “protect” your bedroom so vigorously, that you can’t make a trip to the bathroom at night without risking his teeth. Boundary confinement such as a fence or chain makes territorial aggression worse. Territorial, aggressive pups can trigger on family members or strangers. They can be part of a pack that learns to mimic the bad actor’s behavior en masse. Change the pup’s mood with pleasant words or commands that prompt him to concentrate on something else. His brain can be aggressive and protective when he's in a happy, playful mood. For instance, ask him to sit or another command and reward with a favorite toy like a ball. When he has something to hold in his mouth, it's less likely he'll use his teeth to bite. Make high-trigger areas such as the front door, bedroom, or kitchen off limits. Use a baby gate to keep him out from underfoot. That still allows him to see into the room to “protect” you or the other pets. Puppies and dogs that bark, lunge, and growl at people on the other side of the fence are rewarded when the mailman, another animal, or your fiancé leaves. Change the outcome by enlisting the aid of the delivery people, neighbors, and paperboy, and staging events. Here's how. Give the approaching stranger a handful of treats or special toy, something irresistible the puppy only gets during these sessions. Maybe that's liverwurst or a squeaky toy. 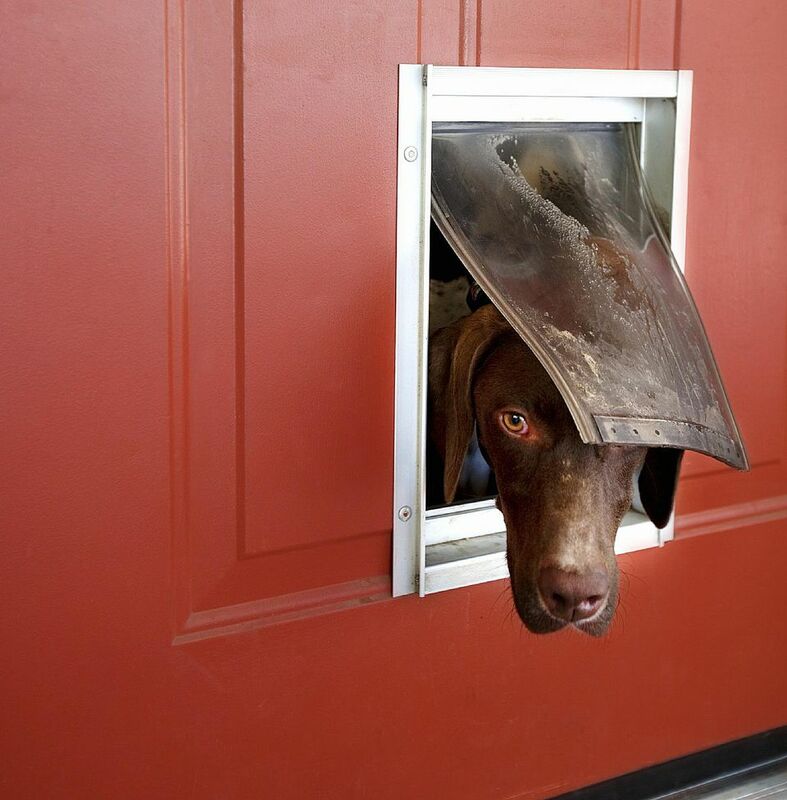 Ask the mailman/visitor to toss the treats to the pup, but without making eye contact. Making eye contact is considered a challenge in dog language and can escalate the aggression especially in an already aroused pup. Once the dog’s mouth is full (so he’s no longer making noise), the mailman can say, “Good dog!” and walk away. He should NOT walk away as long as the puppy barks and lunges. If your puppy ignores the treat or toy and continues to bark and lunge, then YOU go out the door. Call your puppy to come, and reward with a treat or toy for coming. The mailman leaves as the dog retreats—so essentially neither won. By repeating this exercise, the puppy learns that strangers often mean wonderful rewards of treats/toys. He also learns that barking to alert is fine, but YOU get to decide if the stranger comes or goes.